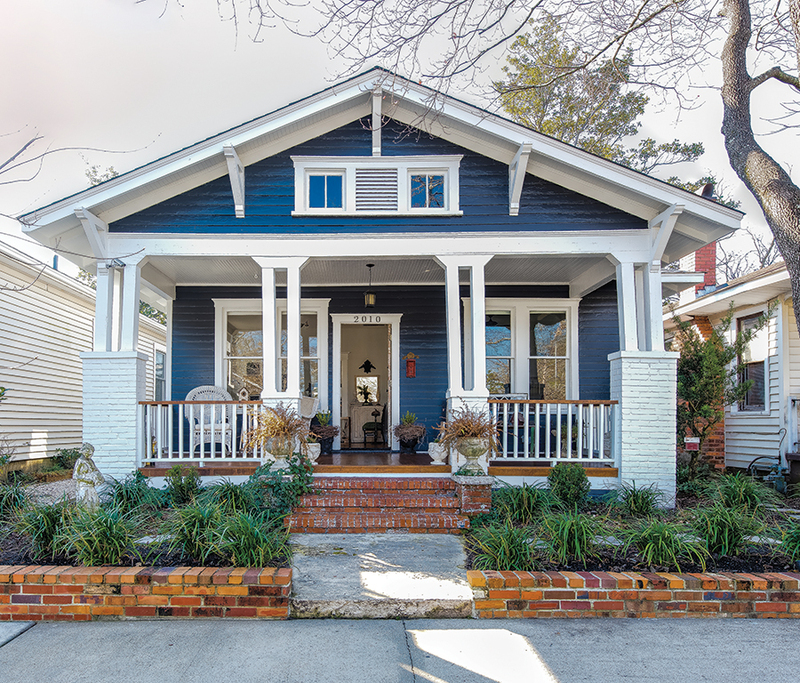 Carolina Place is a lovely historic residential neighborhood, the first of the three so-called “streetcar suburbs” — along with Carolina Heights and Winoca Terrace — that were developed in Wilmington at the turn of the last century. In 1906, a 68-acre parcel of land at 17th and Market streets was purchased by the American Suburban Corporation of Norfolk, Virginia, which envisioned an attractive but architecturally modest neighborhood for the middle class, with curving streets, wide sidewalks, hundreds of shade trees, and easy access to downtown via trolley line. Aside from some new paint colors over the last hundred years, little has changed in Carolina Place, which seems frozen in time at around 1910. 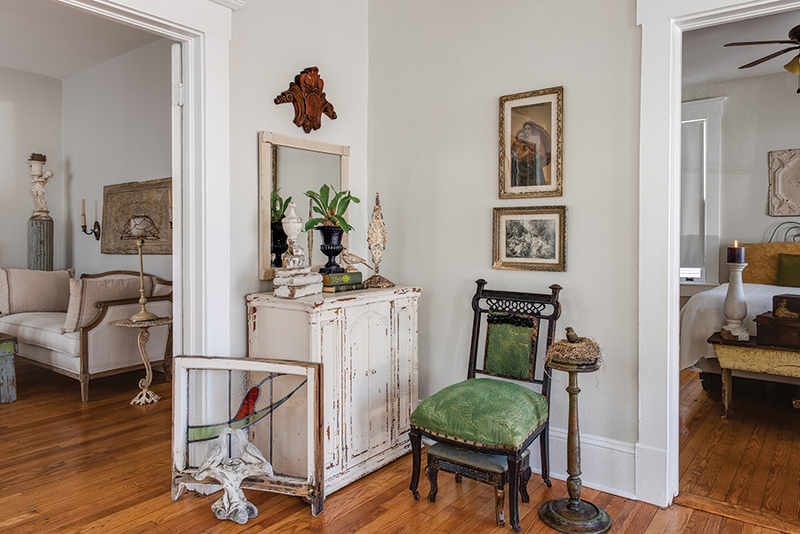 And this is the sense one gets upon approaching Laura Kokesh’s 1911 Craftsman-style bungalow, a serene oasis mid-block on Perry Avenue, which you can see for yourself as part of this year’s Historic Wilmington Foundation Azalea Festival Home Tour. Wilmington kept coming up in her Google searches; she had never heard of it, but was intrigued. Soon the handsome architecture beckoned. She flew down for a long weekend, looked at five houses and then: Sold. In the course of three days, she 1) bought a new house; 2) quit her job; and 3) decided to move to North Carolina within the month. “A lot of life changes at once, but I don’t regret it for a minute,” she says with a smile. Moving through the parlor doors, a visitor enters the former dining room, but is now a second seating area. No dining room? “I don’t really need one — no use for it,” she says. 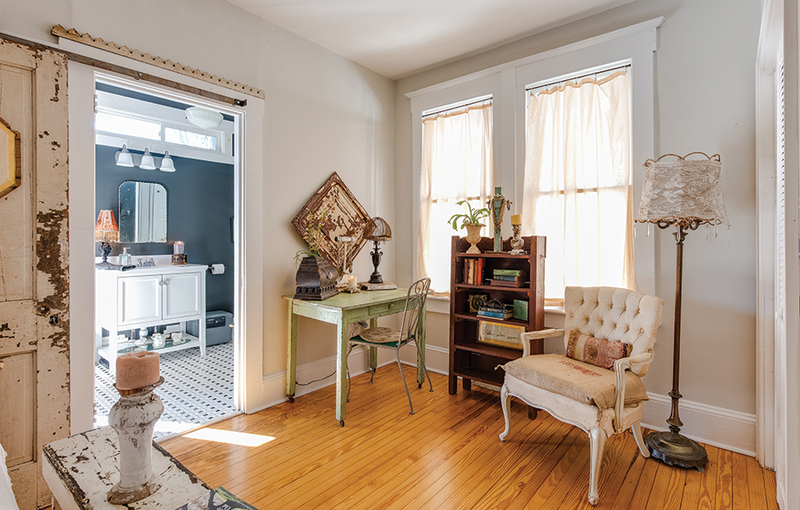 Instead, the carpet-free room reveals pretty hardwood floors. 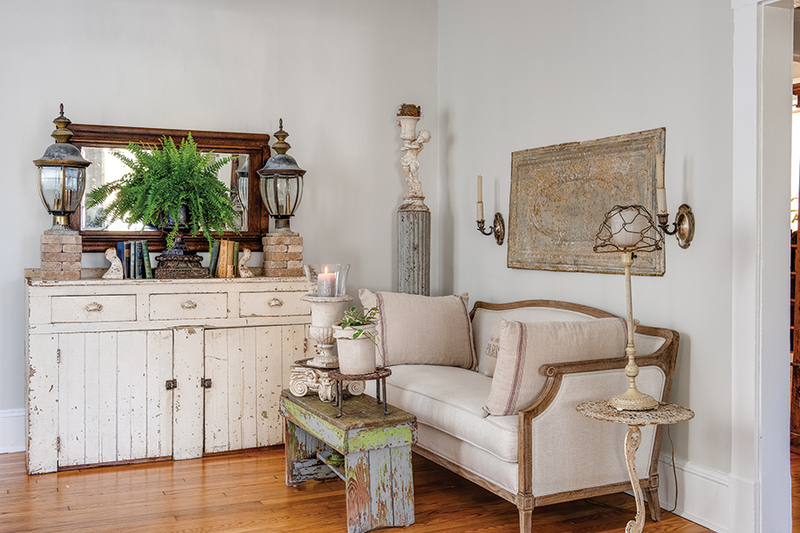 A French sofa upholstered in white linen overlooks a rustic painted chest of drawers topped by a pair of large metal carriage lanterns; a painted urn rests atop an Ionic capital on a makeshift coffee table. 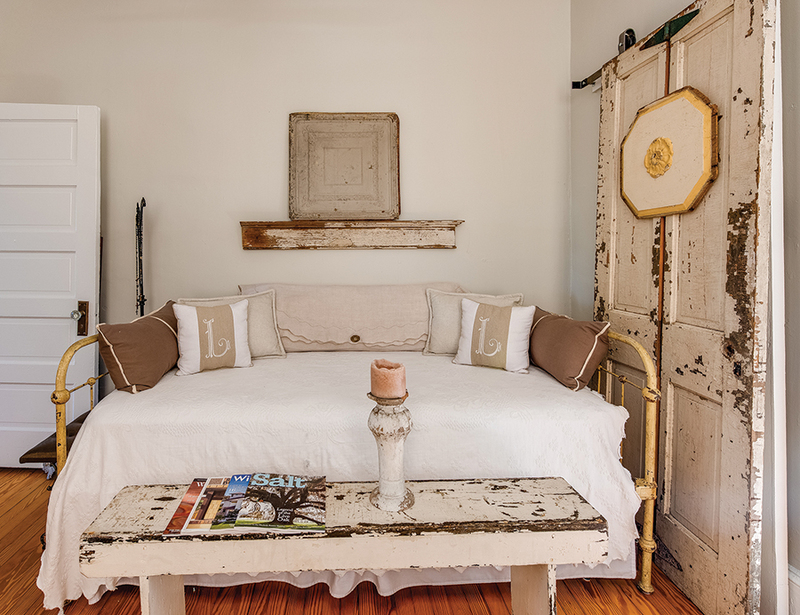 The right side of the cottage is an enfilade of master bedroom, bathroom, a guest room with a handsome cast-iron daybed, and a former outdoor porch, which has been converted to a guest bath with shower. 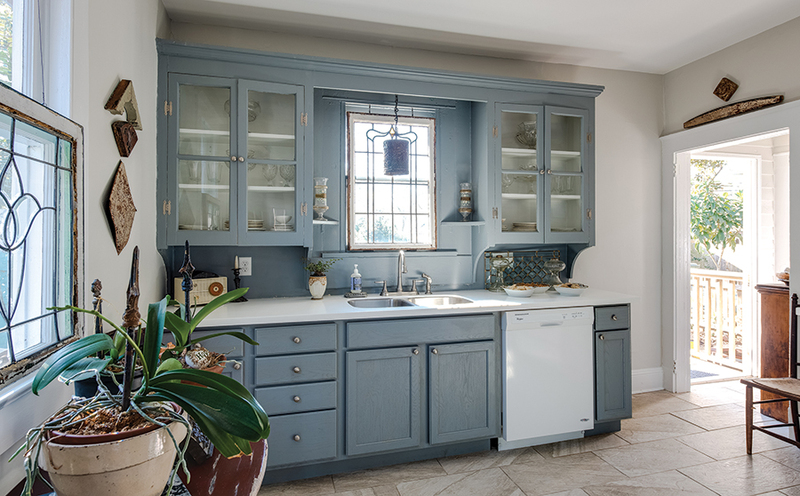 The serene kitchen, at the back of the house, has as its centerpiece a large built-in glass-door pantry for china and glassware, and ample under-counter storage and work surfaces. The back door leads out to a small yard, where Kokesh has laid a brick path and removed a large dead tree. “It is still a work in progress, but it brings me great joy to spend time out there now,” she says. 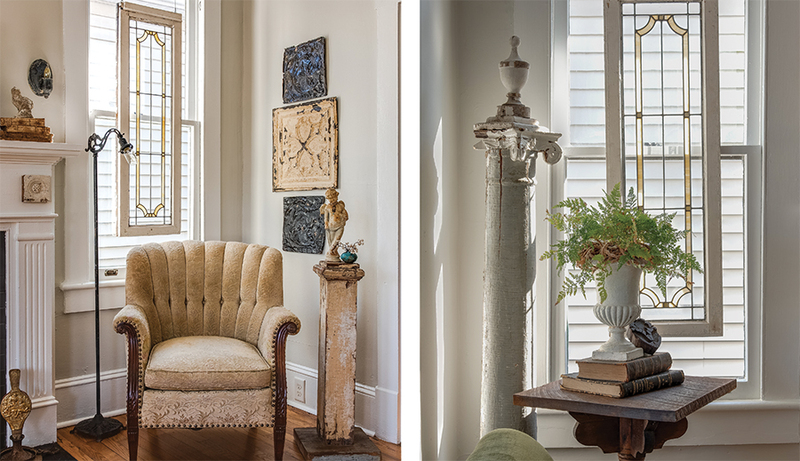 The Historic Wilmington Foundation Azalea Festival Home Tour features 10 houses in three historic neighborhoods. April 4-6. For more information and tickets: historicwilmington.org/azalea-festival-home-tour.